A bill introduced in Congress this week would enable healthcare providers to treat Medicare patients in other states via telemedicine without needing different licenses for each state. 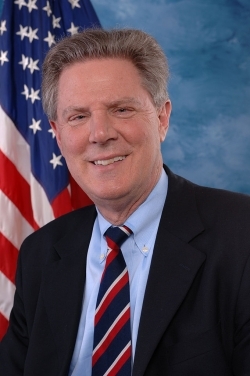 The "TELEmedicine for MEDicare Act", or HR 3077, was introduced Sept. 10 in the House by Reps. Devin Nunes, R-Calif., and Frank Pallone, D-N.J. Nicknamed the TELE-MED Act, it seeks to update current licensure laws "to account for rapid technological advances in medicine," according to its sponsors. “By reducing bureaucratic and legal barriers between Medicare patients and their doctors, it expands medical access and choice for America’s seniors and the disabled,” Nunes said in a statement. Among the organizations lining up to support the bill is the American Telemedicine Association, which has long championed the cause for improving licensure requirements in telemedicine. "We urge Congress to expand this licensure model for telemedicine to other federal agencies and health benefit programs," said Jonathan Linkous, the ATA's chief executive officer, in a Sept. 12 press release. "Patients should all be able to receive the best and most convenient care available, regardless of geographic location." Linkous said the bill follows in the footsteps of the Service Members Telemedicine & E-Health Portability Act, or H.R. 1832, enacted in 2011, which allows the Department of Defense to enable credentialed healthcare professionals to treat veterans across state lines without the need for additional licenses; and the Veterans E-Health and Telemedicine Support Act, or H.R. 2001, introduced this year, which would provide a similar exemption for Department of Veterans Affairs healthcare providers. “Technology makes it increasingly easy for patients to receive the 21st Century care they need and want, wherever the physician or other professional is located,” Linkous said. The bill also received support from the Health IT Now coalition. Joel White, the coalition's executive director, called it essential to promoting telemedicine as a means of lowering healthcare costs and improving clinical outcomes.